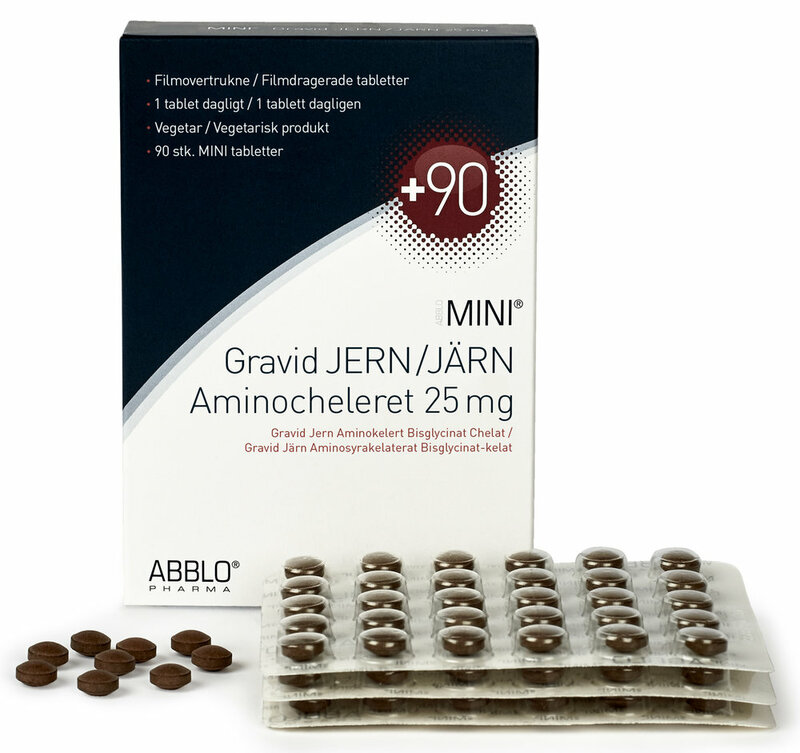 Abblo Pharma Gravid Jern Aminocheleret 25mg. Gravid jern fra ABBLO er tilpasset i styrke, så den gravide kun skal tage 1 tablet dagligt. Aminojern med farvestoffer, ABBLO Jern uden farvestoffer. ABBLO Gravid Jern og Jern kan tages med Kalk, calcium og mælk, te, the og kaffe. ABBLO pregnant iron is adapted in strength, so the pregnant woman's daily dose is 1 tablet per day. ABBLO Iron can be taken together with calcium and milk products. ABBLO Iron Amino tablets have a small, easy-to-swallow size and are packaged in a compact and convenient easy-to-open blister pack produced from 100% bio-foil.